Strategic information, new products, marketing analysis. 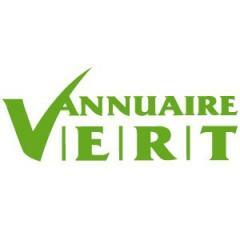 With more than a 1000 pages only dedicated to sustainable development, environment and organic products, l’Annuaire Vert is the main reference in the environmental sector, published for more than 30 years and delivered mostly to organic stores. PAI Club, a non profit organization, is a circle of exchange, a network of specialized informations for B2B professionals. Ingredients, additives and semi-manufactured products are gathered for a synergy of knowledge and skills. The aim of the Club is to advocate, promote, stimulate innovation and the development of the sector-specific business, one of the few which has continued to grow despite the economic and health crises. The CLUB seeks to create synergies, alliances and sharing between professionals. Décisions durables is the french leading magazine on green economic growth and new business models. We provide innovative information to a broad public of today and tomorrow decision-makers : heads of enterprises and organizations, startups, public servants and deputies, NGOs…We bring practical information and solutions to all sectors : agriculture, health, clean energy, transportation… Our magazine gives you a truly independent analysis as well as indispensable tools to prosper in a sustainable future.